The experienced criminal defense lawyers at Arnesen Law represent clients charged with domestic violence offenses, including aggravated assault, stalking, and harassment in Boca Raton, West Palm Beach, and Wellington. In fact, Jay Arnesen is a former police officer who used to make arrests in domestic violence cases. Now, let him use his training and experience to combat your domestic violence charges. 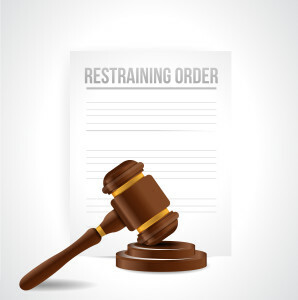 Domestic violence criminal charges are often accompanied by a restraining order. It is important that you hire an experienced domestic violence attorney who understands the system and who can walk you through the process while protecting your rights. Contact our Boca Raton or Fort Lauderdale offices anytime at 561-419-9630 for a free initial consultation. The law also entitles a victim of domestic violence to request that the State’s Attorney file a criminal complaint against his or her alleged abuser. This means that the defendant in a domestic violence case may face charges in criminal, as well as civil court. It is critical understand the extent and the nature of the charges you are facing, and to enlist an experienced defense attorney who can help you to navigate through these complicated proceedings. With offices conveniently located in Boca Raton and Fort Lauderdale, Mr. Arnesen can be contacted anytime at 561-419-9630 for immediate assistance. The initial consultation is always provided free of charge.